New Mobile Slots at Leo Vegas - Bonus Spins Available! To keep a casino players interest at its peak, mobile casino sites regularly update the slots available on their casino floor. That’s why Leo Vegas have been busy in their development department with lots of new mobile casino slots. 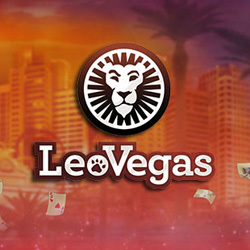 Bearing in mind that if for some strange reason you don’t have a Leo Vegas account, you can claim up to 200 bonus spins on their most popular slots. Tigers Eye™ is a 5 reel, 40 pay line slot which contains some of the most beautiful vibrant colours with roaring tigers, blooming peacocks and skittish deer’s. The reels are littered with stacked wilds, which players are sure to love as they create an abundance of wins! 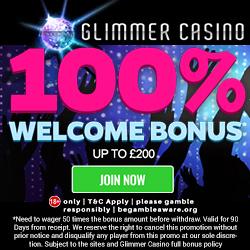 Featuring wilds, scatters, bonus spins and an increasing multiplier up to x10, Tigers Eye™ isn’t one to be missed! If players get three scatters anywhere on the reels, which happens at pretty regular intervals, they will be awarded with 10 bonus spins. For every bonus spin, the multiplier increases by one, so on players’ second spin they get a x2 multiplier, on their third spin they get a x3 multiplier and so on… all the way to a x10 multiplier. With this many bonus spin multipliers; there are now more opportunities than ever before to win big at Leo Vegas. I doubt anyone has ever booked a trip to Las Vegas without uttering the words “vegas baby”, well at Leo Vegas its more than just common phrase, it’s the chance to cash in on a brand new slot. Vegas baby™ is a 5 reel, 20 pay line video slot from IGT, which captures the essence of Las Vegas with showgirls, cocktails, and wedding chapel symbols. The Vegas baby™ logo is the wild multiplier symbol and substitutes for other symbols, to complete winning combinations. Not only that, but it doubles any wins! If players receive 5 wilds, a jackpot of “50,000” credits can be won. Three or more Vegas scatters anywhere on the reels activates the fortune spin bonus game, with up to 180 spins up for grabs. The 100,000 Pyramid™ is a mega jackpot with 5 reels, 15-payline casino slot. Three or more winner’s circle logos trigger the bonus round, which reveals a bumper spin multiplier bonus. 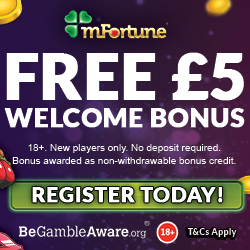 In total, they may receive up to 36 extra spins with a whopping x9 multiplier. Five 100,000 Pyramid™ logos get you the 100,000 jackpot! Forget Egypt, this pyramid is the true wonder of the gaming world. 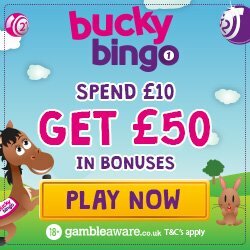 With great new games, lots of bonus spins and huge jackpots, Leo Vegas is one of our favourite mobile casino sites and it should be one of yours too.